I’m celebrating my 2nd Blogoversary this week (I’ll be hosting a giveaway soon to celebrate that, by the way, so stay tuned!) and as I start my third year, it really has me thinking about how far I’ve come and what some of my biggest challenges were starting out as a newbie. Now, that said, while I know it may be tempting to try to model your blogging voice after bloggers like that, if I could offer one piece of advice to new bloggers, it would be this…don’t do it. Even the biggest blogger started out small and had to find his or her way as well. Maybe they now have thousands of followers but chances are, it has taken them years to build that kind of following. It doesn’t necessarily have anything to do with personality. It’s all about putting in the work to make your blog and online following grow. If you model yourself too closely after a “big” blogger, eventually someone is going to notice and probably say something and, ugh, who needs that kind of stress and awkwardness in their life? Not to mention if what you’re trying to do doesn’t really reflect who you are as a blogger, are you really going to be able to keep it up long-term? Or want to, for that matter? Why would you want your blog to reflect someone else’s personality and style when you have a personality and style of your own? Wouldn’t the blogging community be boring if we all sounded exactly alike? When I think about the bloggers I enjoy interacting with the most, it’s not necessarily the bloggers with the most effervescent personalities that I’m most drawn to. 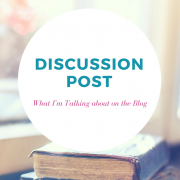 Yes, of course I enjoy those vibrant and energetic bloggers too, but the ones that reel me in and keep me coming back are those blogs, big or small, where I feel like I’m getting to know the blogger a bit each time I visit and read their posts. Whatever their personality happens to be, it comes shining through and I feel like I’m making a real connection with someone. And I honestly don’t think I’m alone in this. Aren’t many of us in the blogging community trying to make connections with people we think we’ll like and share interests with? And I’m the same way. I don’t think I could ever write a book review that would be anything like one that would be seen in a major publication, but I’ve definitely gotten more comfortable with just saying what I personally enjoyed or didn’t enjoy about a book. I totally agree with this. When I started I wasn’t sure what exactly I wanted to blog like and tried out a bunch of things and probably modeled a lot after other bloggers. Eventually, I settled into my own style and what not. I agree I like the blogs the most where I get to know and interact with the bloggers. My journey was a similar one. Looking back it seems like it should have been a given to just be myself but it was almost like I just didn’t really know who I was, lol. What a great post, Suzanne! I totally agree that bloggers need to be themselves – I mean, isn’t that the reason we probably started our blogs? To get our own thoughts and feelings out there? I think you can tell when a blogger is authentic and honest. I like when everyone has their own style, it definitely makes things more interesting! I agree. I think it would be so much less fun if we all sounded the same. And yeah, I find that it’s pretty easy to tell when someone is being themselves vs. trying to be something they’re not. It feels like they’re putting on an act. I may not be the most exciting blogger in the blogosphere, but I’m 100% me, lol. So true about trying to emulate your favorite “big” bloggers! This reminds me of a post I saw once and disliked the situation very much! 2) EVEN if I didn’t like to be imitated I don’t think I would written a post about it. 3) I felt SO bad for the other blogger! So I couldn’t agree more with you on that being so stressful and awkward! I think many of us bloggers fall into trends unintentionally before they find their own voice something to keep an eye on! Excellent post! I remember seeing a post like that not too long after I started blogging. And I felt the same way you did. Even if I was irritated that it seemed like someone was trying to be like me, I just can’t imagine writing a post calling them out on it. I knew it wasn’t me since I had barely even started posting at that time, but it seriously made me reconsider joining in for a while there because the hostility made me so uncomfortable. For the record, I’m glad I kept going with my blog because that type of attitude seems to be the exception rather than the rule in the community but I will say that I never visited that big blogger again, lol. 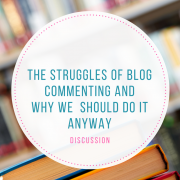 Excellent post, and exactly how I’ve always felt about blogging! Thanks and Happy Blogoversary to you too! Congratulations on two years!!! I agree, finding your voice is hard. I think it’s such a challenge to properly convey your personality traits, when you are limited to only the written language. Thanks! And yeah, it’s almost surprising how challenging it really is to find your voice. I know I made it a lot harder than I needed to when I first started out but am now much more comfortable just being me. Also, that quote from Oscar Wilde is one of my favourites! Thanks! And yes, I agree 100% with everything you said, especially about getting to know the person behind the blog. That has been one of my favorite parts about the bookish community. Congrats on two years blogging! I feel like you’ve been here for so much longer. 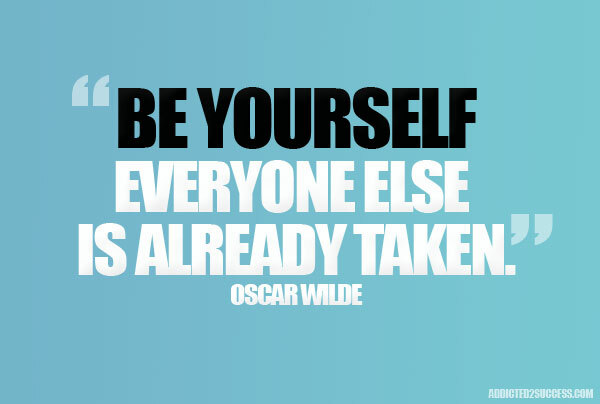 lol Love that Oscar Wilde quote – he has some goodies, but this one is SO true. Honestly, I love all types of bloggers, with different types of personalities and ways of writing. It’s like your IRL friends – mine aren’t all the same type of person and I love that, so I’m not going to follow all the same type of blogs/bloggers. Happy Blogoversary, Suzanne! 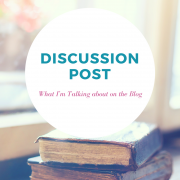 This is such a good post for new and all bloggers to read — I still find myself always working on my voice and what I am like on my blog. Right? I’m the same, although the longer I do it, the more comfortable I am with letting more of my personality come through with each of my posts. Yep, I definitely agree you should be yourself and write with your own voice on your blog! I also like when the blogger’s personality comes through 🙂 But it can be hard. 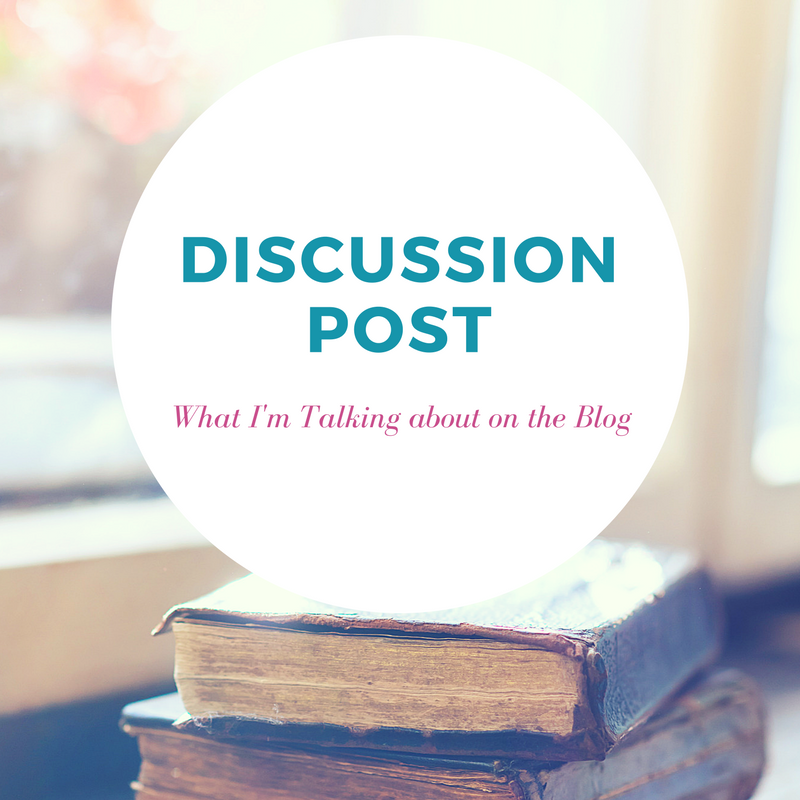 When I first started blogging, I was kind of stiff; when you’re planning out what you’re saying and editing it and everything, I had this tendency to be all careful with my words. But eventually I got more comfortable with it, and here I am! Lol. I was exactly the same way! It got to the point where I felt like I was making it so much harder than I needed to, lol. Amazing post! I’m still trying to figure out how to find my own voice as a blogger since I’m pretty new (happy blogoversary btw! ), and you’re right, I should just stick to being myself and not get intimidated by big bloggers. I need to clap to this post, because it’s so important to say things like these 🙂 I do notice some people just trying to match the voices of popular bloggers, especially if the newbies are younger – I know I was a copycat in my teens as well, it’s easy to fall down that rabbit hole. Happy blogoversary and I just love this post! I’m a tiny blogger, and I love it. I love just plodding along at my own pace and with my little corner of the blogosphere. I think everyone should write their blogs and their reviews as if they are talking to a friend so you can really get the idea of who the blogger is behind that computer, you know? Because you’re totally right, it’s the connection that you feel that draws you in! And I’m EXACTLY the same way. This is a wonderful post Suzanne. 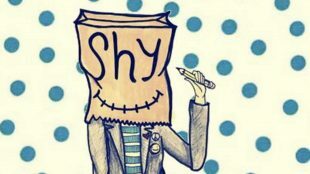 I’m also very shy and I had a difficult time when I first started out. 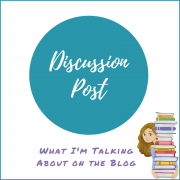 Back then I did crafting posts on my blog, when I switched over to bookish things I didn’t think anyone would care about my thoughts on books. Now I just go with whatever makes me happy. Happy blogoversary! I think doing what makes you happy sounds like a great plan. Thanks!